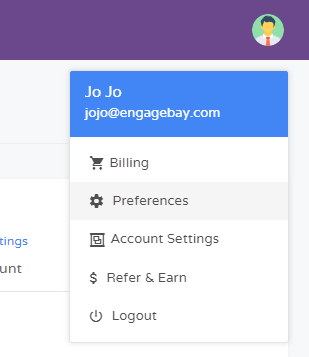 Use your Mailgun account to send all your marketing emails from EngageBay. After logging into your EngageBay account, access Mailgun integration option from Preferences > Integrations menu as shown in the image. Select Mailgun from the many email gateway options available. Locate your Mailgun API key by logging into your Mailgun account. Enter the key in EngageBay settings screen and click Save. We will authenticate the key with Mailgun and confirm. 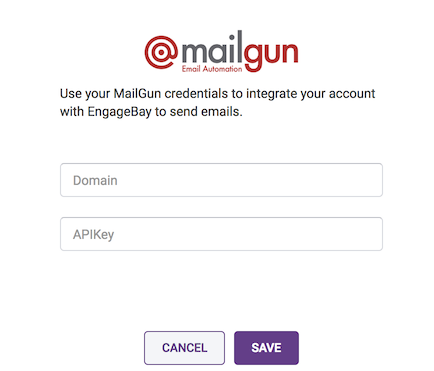 After this step, you can send email in EngageBay using Mailgun gateway.